The prime objective of this initiative is to nurture IT skills of undergraduates in the regional cities and to inspire entrepreneurs to reach international markets. Sri Lanka should concentrate more on macro economic stability and face external challenges accordingly. It is necessary to set up targets for any sector as it would enable a forward looking approach in achieving the desired results, the Export Development Board (EDB) Chief told a seminar last week. “Macro economic stability is vital for the country to move forward. However, we should be strong and not be complacent in meeting targets, especially, with regard to the export volumes and values. 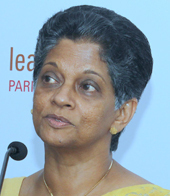 The country should aim at premium niche markets, as we do not have the advantage of economies of scale,” Chairperson, EDB, Indira Malwatte said. The government has placed the Information Communication Technology (ICT) sector as a focal point to drive economic growth and it has been included in the National Export Strategy (NES) which was launched last month. Therefore, the country must focus on taking tech entrepreneurship to the regions, she said at the media briefing on Southern IT/BPM Week to be held in Matara soon. During the past decade, the IT/BPM industry of Sri Lanka has grown by 300%, reaching US$1.2 billion in revenue and has provided jobs to more than 80,000 professionals. The sector has become Sri Lanka’s fifth export revenue generator and a center of excellence in Asia. The government and the respective industry bodies are on a mission to expand the industry and to develop the skills of IT professionals in the country. According to the government’s NES, the IT/BPM industry is expected to achieve US$5 billion in exports by 2022, create 200,000 direct jobs and aims to launch 1,000 startups. These targets could be achieved only by empowering IT professionals and entrepreneurs in the regional cities while supporting the existing businesses in Colombo towards a higher growth trajectory. 17.5 billion set by the government. The country has already achieved 60 percent of the year’s target by the end of July 2018. The second half is the best performing period, she said.“The government has set up US $ 20 billion export revenue target for 2018 and $ 23 billion for end of 2020. The total export target set for 2020 is US $ 28 billion and these targets are now falling in line and are achievable,” she said. The local exporters are highly motivated and we are committed to develop the export sector. The government is continuing its support to increase the export value and volume and ensure better performance, she said. Sri Lanka does not include revenue generated from the tourism industry to the export figure unlike some other countries. Today Sri Lanka’s export trends are shifting from merchandise to service oriented exports. I am confident that service exports would surpass the merchandise exports in years to come, Malwatte said. The country’s service sector is dominated by BPO services, ITC and logistics. The government pays special emphasis on the ICT as almost all the inputs are locally sourced. “This is why the Singapore and Sri Lanka FTA would be very advantageous for Sri Lanka as it would help to promote the service sector even better.Everybody, especially the government united to defeat terrorism. Similarly, people must rally around the exporters and give maximum assistance to them as exports and FDIs are key to economic growth,” she said. The proposed China Sri Lanka FTA too would help to woo more Chinese investments to Sri Lanka as it would be easier for them to manufacture in Sri Lanka and export back to China avoiding taxes that are imposed on local manufacturing. Other than that, Chinese manufacturers can also take the advantage of the Indo–Sri Lanka FTA and export to India and also to Pakistan. To drive the mission of building regional capacity with regard to ICT, the Sri Lanka Export Development Board (EDB) and the Sri Lanka Association of Software and Services Companies (SLASSCOM) came up with the concept of organising ‘IT/BPM Week’ events outside Colombo. The prime objective of this initiative is to nurture IT skills of undergraduates in the regional cities and to inspire entrepreneurs to reach international markets. This initiative will be supported by Information and Communication Technology Agency of Sri Lanka (ICTA), Federation of Information Technology Industry Sri Lanka (FITIS) and the Ministry of Development Strategies and International Trade (MODSIT). The ‘Southern IT/BPM Week’ is the very first program under the NES initiative to develop regional entrepreneurship skills. 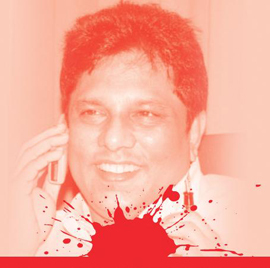 The event is scheduled for 4th and 5th September in Matara. During these two days, the experts of the IT/BPM industry will gather in Matara to educate and mentor 350 University undergraduate and 150 local entrepreneurs in the Southern province. The workshop for entrepreneurs will be held on Tuesday, September 4 at Hotel Grand Navro and the workshops for IT undergraduates will be held on Wednesday, September 5 at the University of Ruhuna. Sri Lanka Export Development Board partnered with SLASSCOM, ADB, Ministry of Education and ICTA organized the ‘Galle IT-BPM Week 2018’ recently, which focused on sharing knowledge and experience on the latest trends in technology and innovation for over 200 school principals and ICT teachers from schools in the Galle district.The primary objectives of the Southern IT/BPM week are to encourage undergraduates to select ICT/Entrepreneurship as a career in the future, build awareness on emerging technology and to mentor homegrown startups and SME owners. Participants who demonstrate outstanding performance during the workshop for tech entrepreneurs will have access to the programs included in the event.